Let us put you in the picture this week, as we round-up and react to the latest news from the financial crime compliance and technology sectors. This time, there is a look at the implications for Britain when it comes to money laundering after Brexit becomes a reality. Elsewhere, we highlight research that finds job creation within the fintech space in London increased by 61% over the past 12 months. As the discussion and uncertainty over Brexit and the UK’s future relationship with Europe rumbles on, the issue of money laundering – and what this sea change will mean – is now coming into sight for many in the associated industries. Many commentators would say the European Union (EU) has been far from perfect when it comes to tackling what is undeniably a growing problem, but it has introduced a series of money laundering directives in recent years that aim to stop the proceeds of crime flowing into its member states. So, what will relinquishing EU member status mean for the UK in this vein? Will it make life easier for financial criminals? 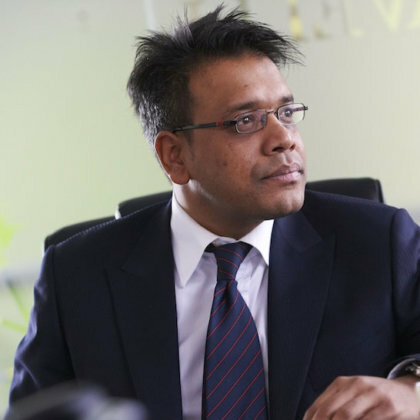 In an in-depth article for Lawyer Monthly, Aziz Rahman, of business crime solicitors Rahman Ravelli, examines the implications for Britain, when it comes to money laundering, when Brexit becomes a reality. You can read more insight from Mr Rahman here. There is a degree of uncertainty in regards to Anti-Money Laundering (AML) regulation and what the landscape will look like after Brexit, particularly when it comes to the sharing of vital information to support cross-border co-operation on enforcement and investigations. However, when it comes down to it, for regulated firms, not much is changing on a practical level. 5MLD still going to be implemented and they still have to focus on updating policies and procedures to meet enhanced regulatory expectations, with a lot of the work on this having been started already. EU AML regulations are well regarded the world over so, while there is bound to be some impact, firms in the UK are still going to have to demonstrate robust Know Your Customer (KYC)/AML processes, with the main goal of uncovering financial crime. Whatever happens with Brexit, the AML/KYC burden is not going away, and regulated firms must continue to explore ways to drive down costs and improve productivity. This is where technology, such as encompass, comes to the fore. Automated KYC makes it easy to get the full picture on all clients in an efficient, clear and effective way that drives success but decreases cost. At this point in time, it is important that firms focus on what is within their control and do the basics well, rather than waiting for the Brexit saga to fully unfold. Job creation within the fintech space in London increased by 61% over the past year as the City cemented its reputation as a global hub for financial technology startups. Research from data recruitment firm Robert Walters and market analysis experts Vacancy Soft found the significant growth, which will prove a boost for the industry at a crucial time. It also concludes that, this year, London will be home to just as many fintech ‘unicorns’ as current global leader San Francisco. Of the 29 fintech unicorns worldwide, nine are in San Francisco, while seven are housed in the UK. IT continues to dominate the hiring agenda for fintechs, with a third of roles within the sector dedicated to tech. In 2018, we saw IT vacancies within the fintech space increase by 74% when compared with 2017. The increase in demand for IT talent – coupled with Brexit-related concerns – poses the risk of stifling the talent pool. As a result, we’re already starting to see salary inflations for IT professionals of around 6-8% – and some pretty impressive buy-back and counter offers. The Nordic region can now act as a blueprint for digital identity success, according to new research. The report, published by Arkwright, examines what other countries can learn from the Nordic model and how digital identity is also an opportunity for banks to solve their existential crisis in this age of technological innovation. Titled ‘Federated e-IDs as a value driver in the banking sector,’ it details how Sweden, Norway, Finland and Denmark have solved the issue of ‘proving we are who we say we are’ by giving their citizens an online identity which is widely recognised, including by authorities. Its author, Frank Wunderlich, concludes that, in the Nordic region, especially in Norway and Sweden, using digital identity is as everyday as “using a toothbrush” and ponders why similar initiatives have not made a mark on other markets elsewhere in Europe. You can read the findings in full here. The chief executives of the largest U.S. banks plan to tell Congress that the financial system is less risky and more tightly supervised than it was a decade ago, thanks to a series of regulatory reforms implemented in the wake of the 2008 financial crisis. Find out more. RBS and Barclays Bank have completed a blockchain trial with R3’s distributed ledger software, which reduced the time taken to complete a property transaction from three months to less than three weeks. Read more here. European fraud experts have called on EU regulators to put on hold the implementation of the European Banking Authority (EBA) Guidelines on Fraud Reporting under the second Payment Services Directive (PSD2) until the revised European Central Bank’s (ECB) Regulation on Payments Statistics comes into force. FStech has the latest. The European Parliament has raised concerns that “free ports or free zones must not be used for the purposes of tax evasion or to achieve the same effects as tax havens.” A new report praises recent steps taken toward greater oversight and regulation, including the European Union’s Fifth Money Laundering Directive (5MLD), but also cites a “lack of genuine political will” and enforcement. Read more. On the blog this week, we looked at the issue of using Machine Learning (ML) to improve AML efforts, after Senior Product Manager Robyn Todd participated in a webinar around the subject. We also shared six steps to help you improve your KYC due diligence checklist here, while encompass adviser Dr Henry Balani, a financial services expert and academic, examined the key developments within the Fifth Money Laundering Directive (5MLD) and what they will mean. how is 5MLD different from previous directives? The world of Know Your Customer (KYC), compliance and financial crime never sleeps, and if your challenges are keeping you up at night let us help. encompass intelligently automates information and news discovery for KYC requirements for onboarding, event-driven refresh and remediation.